By Killian Dowling | December 6, 2016. 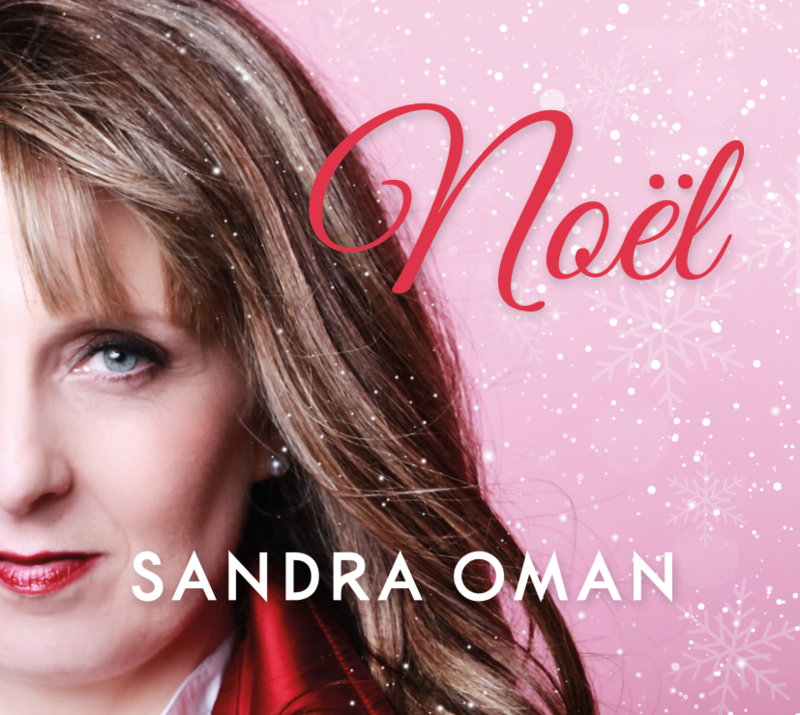 The Liberties’ very own soprano singer Sandra Oman has released her second studio album- all with the holiday spirit in mind. ‘Noel’ is a collection of 10 Christmas songs ranging from favourites such as “Have yourself a Merry Little Christmas” and “Silent Night” to elegant French carols “Le Noël de la Rue” and “Petite Étoile de Noël” – and everything in between. I caught up with Sandra after her sold out album launch in the National Concert Hall to discuss the idea behind making a Christmas album and her success to date. So Sandra, you just had a sold out concert in the National Concert Hall for the album launch. How was that experience and how did the album come about? Oh it’s fantastic I’m so grateful for all of the support. It’s my second album. For the first album, ‘Liberty’ the same thing happened – a sold-out album launch which was fantastic. I had never intended to make what they call ‘the difficult second album’ so soon, but with the success of the first one we just decided to keep her rolling! For years my husband had been at me to do “O’ Holy Night” so we sat down and decided to make a Christmas agenda – initially this was just to do a nice little E.P of about 7 tracks. It was only when we went into the recording studio that we thought that 7 tracks is a long E.P and when you’re going in that route you might as well extend it out so we added a couple of tracks and made it into a full album, and Christmas is such a popular time it just made sense. You’re based in soprano singing which is typically associated with opera and classical music yet on the new album for example, you cover a Joni Mitchell song. Are you influenced by a wide range of musical genres? Yes, the thing is I’m an opera singer don’t get me wrong, that’s what I’ve been doing all my life. But when I started to make the new album I wanted it to reflect my wide taste in music, and also what people want to hear. People aren’t going to want to hear me singing all operatic stuff. Luckily I wasn’t confined to one voice or opinion on what should be on the album, which might be the case if you are signed with a big label who impose on you something that they want you to do. I like a million types of music. I grew up listening to Hollywood musicals and a bit of classical. I love 80’s pop music as well so I would say I have an awful lot of musical influences. The Joni Mitchell track came about when David Wray my arranger, who has very eclectic tastes said to me if i’d ever sing Joni Mitchell’s Christmas song “River” and I’m embarrassed to say I didn’t actually know it! So I went to listen to it with my 7 year-old daughter, who’s my oracle and my consultor, and we heard it, both looked at each other and thought “Fabulous!”. You grew up in the Liberties and your debut album is called ‘Liberty’, has the area influenced your music taste in any way? Yes I grew up down in Blackpitts. My granddad worked in the old Theatre Royal and he saw all the great acts going in and out and he had a great love for music. My mother learned violin in school so I grew up in a house where classical music wasn’t unusual. Even though we were inner-city working class this was absolutely normal, and growing up in the Liberties I think there is a huge tradition of music anyway. At the time when I was growing up it wasn’t prohibited for people in the inner city to go to opera, you could afford it. What’s happened now is that it’s become prohibited over the years because of the escalating costs as it’s ridiculously expensive to put on. It’s the ultimate art form because not only are you dealing with stage, set actors and singers, you’re also dealing with a full orchestra. However, there’s massive resources involved in opera and there is very little government funding in Ireland. Now you’re paying €100 a ticket. Back when my parents and grandparents and even myself were growing up it was perfectly normal and affordable for working class in the Liberties area to go to the Olympia or to the Gaiety for opera. I think all this molded my taste over the years. ‘Liberty’ went to Number One in the iTunes Vocal Album Charts and unusually for a classical artist it went to Number 4 in the Top Album Charts being surpassed by the likes of Adele and Justin Bieber. Because soprano singing has a niche market and a certain target audience do you think it’s important that such an album can be grouped with the likes of pop music which maybe a younger audience would listen to? So you’re closing out this year by releasing a new Christmas album, what are your plans for 2017? Well down the line in Spring next year I have had an invite for the American-Irish historical society in New York to do a performance there with David Way and my cellist Richard Peregrine so the three of us are travelling out there to do that, we’re also doing a private function near it and intend to do a Weill recital hall performance in Carnegie hall where I’ll sing my first album predominantly. So that’s one big project next year my other big project is the continuance of a performance I did earlier this year; a celebration of the MGM legend Jeanette MacDonald which was sold out weeks in advance. I have that again in February and then again in May and June so plenty of concerts to look forward to.